Condition: Cloth bound, wrapped in plastic. Unmarked except for a small inscription on the fly page. Binding tight. Nicely illustrated. 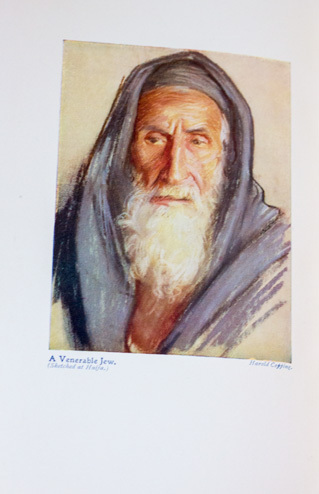 First published in 1911, this book is an important account of Egypt and Palestine in the early 20th century. 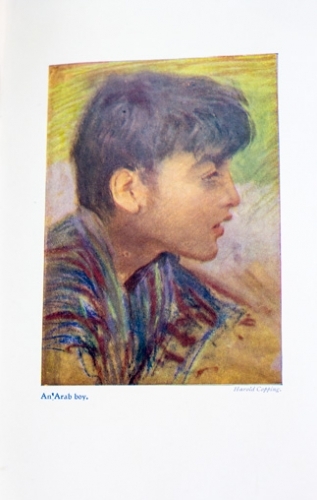 Written as a travel journal, it describes the author’s impressions of Egypt and Palestine. 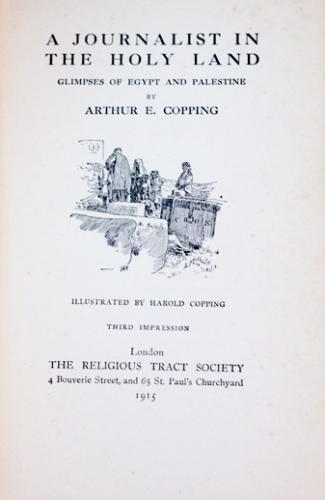 The value of this book lies in the wonderful illustrations it contains. However, as a travel journal, it is tremendously boring and one wonders how a record of such an exciting region at such an eventful period in history could possibly be this dull. 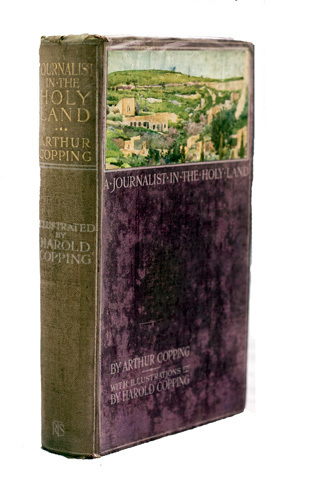 There are 8 coloured plates in the book from the original drawings of acclaimed illustrator Harold Copping, along with numerous engravings scattered throughout the book.